En 2007, j’ai demandé à trois producteurs stars de DVD ce qu’ils pensent de la HD, est-elle tout bonus ? 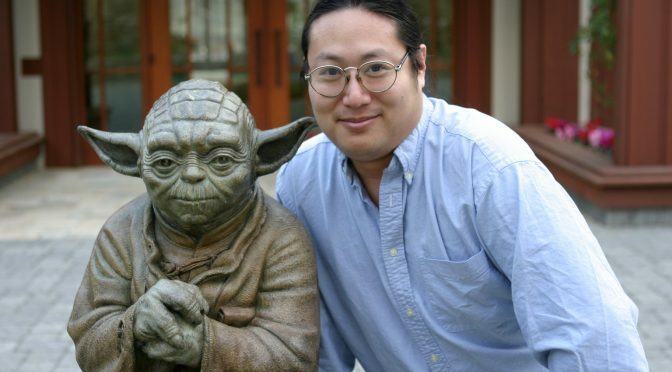 Van Ling, concepteur d’effets spéciaux, proche collaborateur de James Cameron a conçu les DVD de Titanic, The Abyss, Starhip Troopers, Star Wars Trilogy… Excusez du peu ! Bliss : Quel est le premier film/DVD sur lequel vous travaillez avec un format HD ? Van Ling : J’ai travaillé sur 9 Blu-ray l’année dernière, y compris Terminator 2, mon premier. S’agissant de disques contenant seulement le film, ils m’ont donné l’occasion d’apprendre ce qui marche ou pas. Je suis actuellement sur le Blu-ray d’Independance Day et nous expérimentons des idées utilisant la programmation Java sur Blu-ray. Bliss : Avez-vous une approche différente pour les bonus selon les formats HD DVD et Blu-ray ? Van Ling : Entre la SD et la HD, surtout. Les objectifs sont les mêmes mais il y a plein de choses à réapprendre et beaucoup plus de problèmes de programmation, surtout pour la navigation dans les menus. Bliss : Si l’un de vos précédents DVD ressort en HD, y travaillerez-vous ? Van Ling : Oui parce que je sais déjà ce qui a été fait et que j’ai une bonne idée comment le surpasser. 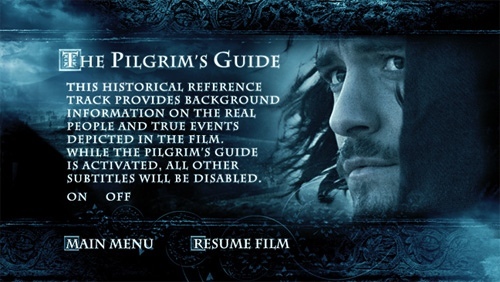 Il faudrait pouvoir inclure ce qui a été fait sur DVD et ensuite créer des choses inédites qui tiennent compte des nouvelles possibilités. Bliss : Comment allez vous effectuer la transition entre SD et HD pour les documents d’archives déjà mastérisés ou à venir ? Est-ce utile de filmer documentaires et interviews en HD ? Van Ling : Oui, nous filmons tout en HD. La majorité des films transférés en vidéo ces 8 dernières années l’ont été en HD, donc exploitables tel quel. Quand ils achètent un disque HD, les consommateurs s’attendent à ce que les suppléments soient en HD. Comme les vieux documents ont été filmés en vidéo SD ou 16mm, c’est un challenge de décider comme présenter une featurette mélangeant les formats. Bliss : Les réalisateurs avec qui vous travaillez sont-ils concernés par la HD ? Van Ling : Les plus jeunes sont déjà au courant des nouvelles possibilités des formats HD et participent. Les réalisateurs vétérans y voient d’abord une nouvelle manière d’intéresser plus de spectateurs. Bliss : Les fonctions interactives propres au Blu-ray et au HD DVD ouvrent-elles de nouvelles possibilités ? Van Ling : Oui mais c’est un vrai challenge parce qu’il s’agit plus de programmation créative que de création artistique. Nous sommes au point où les formats HD doivent faire leur preuve auprès des consommateurs, avec ce côté « essayons tout pour voir ce qui leur plait». Il y a beaucoup de gimmicks. Bliss : Que pensez-vous des problèmes de compatibilités provoqués par ces nouvelles interactivités ? Van Ling : Ces formats HD ont clairement des constitutions informatiques. Cela donne autant de possibilité de faire des choses que de les rater. Quand quelque chose ne fonctionne pas, vous n’êtes jamais sûr si cela vient du design, de la programmation, de la fabrication ou du lecteur. Bliss : Avez-vous une préférence professionnelle entre le HD DVD ou le Blu-ray ? Van Ling : J’ai surtout travaillé sur Blu-ray. Étant donné qu’une grande partie du succès de ces formats va dépendre de l’industrie du jeu vidéo qui a l’habitude de la cohabitation de formats, je ne pense pas qu’il y aura un vainqueur définitif. Bliss : Do you think there is a need for high definition bonus or is it still for some happy few passionate? Meaning, is it worth the efforts for you, the studios and even the movie directors? Van Ling : I’ve always said that DVD producers are the most optimistic people in the film business, because we put our blood, tears toil and sweat into creating materials that only a very small number of people will ever watch. But I do think that it’s worth the effort, because it can be a winning situation for all parties: the filmmakers get the chance to discuss their visions, the studios have more to sell and the viewers get more for their money, even if they don’t care to watch it. As for us DVD producers, some of us enjoy the challenge of extending a narrative/universe and exploring new ways of educating and interacting with viewers. Bliss : What is the first film you worked, or are working on, that is going to be released on any HD formats? 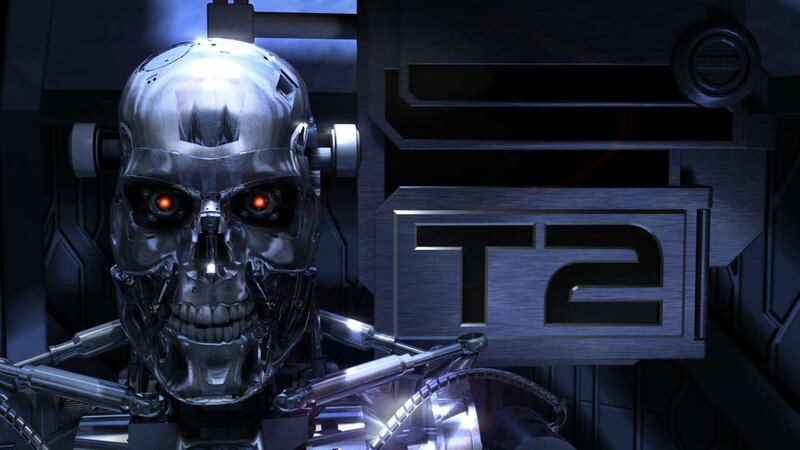 Van Ling : I actually worked on nine Blu-ray titles last year, including T2 (which was my first), but these were essentially « movie-only » discs that gave me an opportunity to learn how the format works (or doesn’t work, as the case may be). I am currently working on « Independence Day (ID4) » for Fox on Blu-ray, and we are exploring some new bonus feature ideas using Blu-ray Java programming. Bliss : Do you have a different approach regarding extras on HD DVD or Blu-ray? Van Ling : If you mean as opposed to standard DVD, yes. Even though most of the goals are the same (movie, commentaries, bonus content), the formats are completely different in terms of technical approach. There’s a lot of things you have to learn to do anew, and a lot more programming issues you have to keep in mind while you are designing and creating materials, especially for the menus and navigation. Bliss : If, or when, one of your previous DVD is re-released on a HD format, will you work on it ? Would the bonus be a simple transfer from the DVD or would you work again on it? Van Ling : I expect to be working on many of the HD versions of the titles I’ve previously done, simply because I already know how and what I’ve done before, so I have a good idea of how to surpass it. I feel that we should be able to include what we’ve done before on DVD as a starting point on the HD version, and then create new material that takes advantage of the new format’s capabilities. Bliss : Did the digital transfers of past archives have been readied for HD formats and could be ported without going back to the digital scan? What is your opinion regarding those past documents? Going HD with them or keeping the already digital transfer? What is the position of the studios you work with regarding this issue? Van Ling : Most films that have been transferred to video in the past seven to eight years were transferred to HD in the first place, so many of them are already usable. But I believe most studios assess how the existing HD transfers look in light of today’s technologies, and if they feel that the new equipment can yield an appreciably better transfer, they will do it. Bliss : What about future archives you might dig up, which kind of technical treatment would you do for the HD formats (or not)? Van Ling : Most older archival material tends to have originated on standard-definition video or 16mm film, so it is more of a challenge to decide how to present a mixed-format documentary or featurette. But with the advent of the new HD formats, more and more special features are being done in HD, because consumers expect that when they buy an HD disc, as much of the content as possible will be in HD format. Bliss : Are you shooting your documentaries and interviews in HD ? Since when, or do you plan to? Is it relevant to do so? Van Ling : Yes, for current films, all of the material is shot in HD, as are all interviews and new footage shot for bonus material on older titles. It is generally accepted as a good practice to shoot in HD if it can be afforded, even if you are currently finishing the project in standard definition. All of my projects going forward will likely be in HD. Bliss : Are movie directors you work with concerned, interested by those high def contents that they may have to provide for future HD DVD or Blu-ray releases? Whether for a new projects or past projects? Van Ling : The younger generations of filmmakers are already savvy to the possibilities of the HD formats and are usually very open to creating or participating in new HD content, while the older generation of directors view it as a good way to get more people to experience their films, which are still the most important component of any release. They are usually thrilled to see their films in such high resolution. Bliss : Both HD DVD and Blu-ray may be programmed for some special interactivities during movie footage… Did you start working on that technology? Is it easy to do? Does is really open some new doors for you as a DVD producer and maybe the consumer or is it just a gimmick? Bliss : There seem to have some compatibility issues with those interactive programs, whether on Blu-ray players or the LG Blu-ray HD DVD combo that doesnt play HD DVD interactive programs. How do you deal with that? Van Ling : These HD formats are much more clearly computer formats, and the more like a computer your format is, the more capabilities you have… but the more opportunities you have to mess things up. We are still in the preliminary phase in which the formats are evolving, and when something doesn’t work, you’re never quite sure if the problem is due to the design, the programming, the manufacturing, or the player. From my standpoint, I just keep pushing. I find out what they think the format can do, and then come up ways for it to do more. And try to work with people who are willing to try it. Bliss : Do you have a preference as a professional between the two formats : Blu-ray and HD DVD? Van Ling : My experience so far has been exclusively with Blu-ray, so I am more familiar with it, but I am learning more about HD-DVD as well. Given that a significant portion of the success of these formats is going to depend on the video game industry -which has a history of multiple formats co-existing-I don’t think there is going to be one definitive winner. And the only way the consumer will win is if there are really good combo players so the viewers never have to worry about whether they can or cannot play any disc they buy. Kim Aubry, ingénieur du son, collaborateur intime de Francis Coppola a conçu les DVD de THX-1138, Apocalypse Now, Le Parrain… Des pans entiers du cinéma ! Kim Aubry : Notre premier enregistrement en vidéo HD a été une interview de Francis Coppola en 2004 pour le DVD de son film La Vallée du Bonheur (1967), jamais utilisé en HD. En 2005 nous avons commencé à filmer en HD des documentaires pour l’édition 2 DVD de Apocalyse Now The Complete Dossier, mais on nous a dit qu’à cause de la confusion de l’industrie autour des formats, le film sortirait sur DVD SD (Z1). Notre premier gros effort en HD a été fourni pour filmer les 70’ de bonus pour la nouvelle édition du Dracula (Coppola, 1992). Le documentaire d’époque a été filmé dans 16 mm impeccable, nous avons pu le transférer en HD. Sony a l’intention de sortir le film sur 2 DVD SD et en Blu-ray dans l’année. Nous avons créé les menus (formidables, ndr) et les bonus pour le DVD de Marie-Antoinette qui doit sortir en Blu-ray. Nous travaillons sur une édition spéciale de L’Idéaliste (1998) qui aura des éléments en HD. Kim Aubry : Préparation des menus et programmation sont deux choses différentes. Nous concevons les éléments graphiques et l’authoring est confié à d’autres. Bliss : Si l’un de vos précédents DVD ressort en HD, y travaillerez-vous ? Comment allez vous effectuer la transition entre SD et HD pour les documents d’archives déjà mastérisés ou à venir ? Kim Aubry : Le transfert et la restauration coûte plus cher en HD parce que les imperfections sont beaucoup plus visibles en haute résolution et la réparation digitale bien plus longue et onéreuse. De nombreux professionnels m’ont dit que d’après leurs enquêtes marketings, la plupart des gens trouvent que de la SD lue sur un lecteur DVD capable d’upscaling ou même sur un lecteur HD DVD ou Blu-ray comme la PlayStation 3 rend très bien sur un diffuseur HD. Les studios n’ont donc aucune motivation pour dépenser plus d’argent pour remastériser les bonus en HD. Bliss : Est-ce utile de filmer documentaires et interviews en HD ? Kim Aubry : Nous avons commencé à filmer avec une HDCAM le documentaire d’un film tourné en Afrique du Nord, et pour des raisons de budget et les incertitudes concernant le Blu-ray et le HD DVD, l’équipe a continué avec des caméras SD ! Kim Aubry : C’est une distraction pour eux. Ils sont d’abord préoccupés à finir leur film ou planifier leur prochain. Kim Aubry : Dans les DVD du Parrain et de THX 1138 nous avons créé un peu d’interactivité. Si nous utilisons nous-mêmes ces nouveaux outils sur des BD ou des HD DVD, cela ouvrira des portes. Si d’autres le font, ce ne sera qu’un gadget. Kim Aubry : Non. C’est Coca Cola et Pepsi. Kim Aubry : I can’t really speak to the economics of creating new bonus content in the HD format for release on HD homevideo. I can say that IF you have access to visual elements that are potentially of higher quality than standard definition video, obviously anything you produce will be of greater value eventually, as the world switches to HD. Kim Aubry : The first visual element that we photographed in HD was an on-camera video introduction by Francis Coppola for the 2004 re-release of the 1967 film “Finian’s Rainbow” on DVD, although this never went out in HD. We began work on documentary featurettes for our special 2-disc “Apocalypse Now – The Complete Dossier” in 2005. Originally, we intended to shoot and finish all new materials in HD because the North American distributor intended an HD home video release. But shortly after starting work, we were told that due to confusion in the industry over formats, the plan was to release the DVD in just standard definition. We ended up finalizing only the “Watch Apocalypse Now with Francis Coppola” featurette in HD, and as of this writing, we are unaware of any plans to release the film or sbonus materials in an HD format. Our first full-blown HD effort was in 2006 when we completed around 70 minutes of new bonus materials for a new release of “Bram Stoker’s Dracula” (1992). It is Sony’s plan to release both a 2-disc SD and a BD version of the film later this year with these new documentaries produced in HD. We created menus and some bonus materials for the release of Marie Antoinette which may get a BD release. We are now working on a special edition DVD of Coppola’s 1997 film “The Rainmaker” which will have some elements in HD. We do not know the distributor’s plans regarding HD-DVD or BD release on this title. Kim Aubry : No. The menu preparation and programming is different, but we only do graphic design elements which are authored by others. Kim Aubry : I would say it depends on whether or not we can improve the original bonus content in any way by incorporating newer or better visual elements. If the distributor plans to just re-use the original SD materials, they don’t need us. Many industry insiders have told me that, according to their marketing research, most people think standard definition materials viewed on a up-converting DVD player or even a HD-DVD or BD player (like a Sony PS3) when seen on an HD display look great, and they have no motivation to spend more money to re-master the bonus elements in HD. Kim Aubry : No simple answer, no official position that I know of. Every case is different. There are HD 1920 X 1080 transfers of films made 3-5 years ago that are not very good. No doubt, there are “2-k” scans that have been made that could be improved upon. There are other HD transfers made 6 years ago that are fantastic. Some films are finished (for creating theatrical 35mm release prints) using Digital Intermediate technology for color correction, replacing the laboratory color timing step. 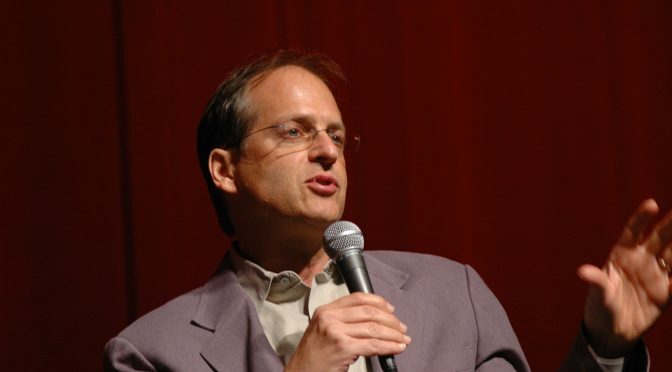 But until quite recently, the “DI” masters did not necessarily consider the issue of making HD masters directly for the eventual broadcast, or home video markets. Indeed, most films finished with DI, end up with a film negative element that is scanned on a Telecine for home video, which might sound a bit strange. I say, this is a constantly evolving process, and the most important thing a responsible studio can and should do is to consult the filmmakers anytime they re-transfer the image to confirm that they are reflecting the original artistic intent. I find this point of view very strange. Kim Aubry : Don’t understand the question. We are doing some restoration work for some wonderful documentary films made in the 1960s and 1970s. We encouraged the filmmakers to locate the best film elements possible and we transferred them to HD format on a good telecine. We see that the cost of doing transfer and restoration at HD is far greater than SD, because imperfections that require DNR or other kinds of treatments are far more visible at the greater resolution, and digital repair work is far more time consuming and expensive. Kim Aubry : Yes, we do. (See #2 above). Since 2003. Sometimes HDCAM 1920 X 1080 24P, sometimes Varicam 24 P.
Kim Aubry : Most directors I work with (so far) are preoccupied with finishing their film, or with making plans for their next film, and the technical details of the home video release seem like a distraction to them at the time. But this is changing, as filmmakers recognize the importance of the home video and electronic record we are creating, both artistically and commercially. 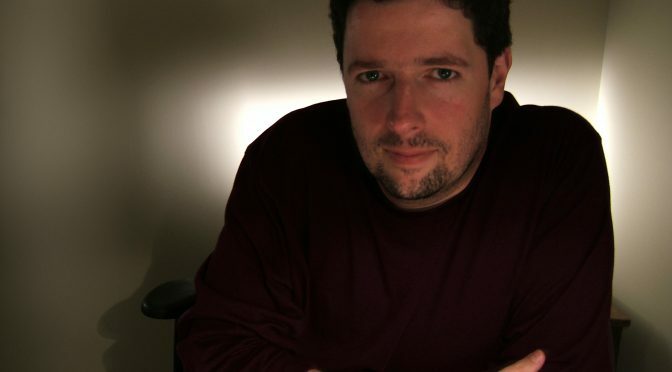 Kim Aubry : I have very little experience with the interactivity. We tried to do some very basic interactive “added value” on some of our titles, including The Godfather DVD Collection which had a Corleaone Timeline plotted against actual news events, and a living Corleone Family Tree with many hidden aster eggs. 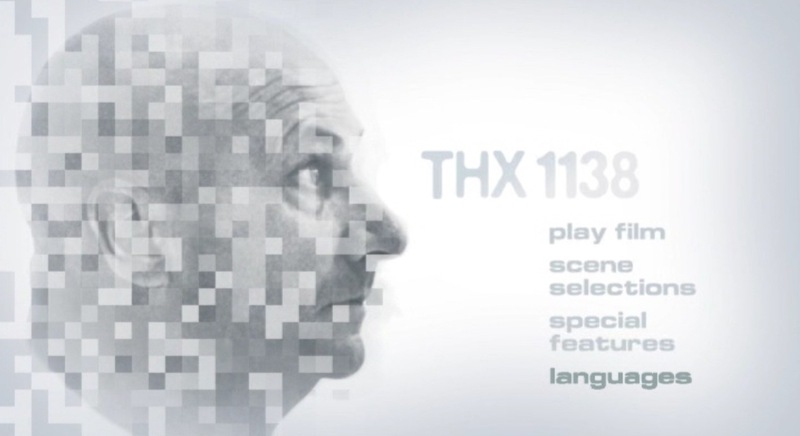 In our THX 1138 DVD, we provided a “white rabbit” function that allowed viewers to jump out of the movie at pre-selected times and view sections of a documentary in which Walter Murch explained the audio style of that scene. If we use any of these new technical features in BD or HD-DVD, it will open doors; if someone else uses them, it will be a gimmick. Kim Aubry : No. Coke and Pepsi. Warsaw Pact and NATO… One more note regarding the Dracula project. We were greatly aided in this because the “behind the scenes” unit that was on the set during the shooting of Bram Stoker’s Dracula (1991-1992) was a proper 16mm film crew. We accessed the original 16mm documentary negative (more than 20 hours of behind-the-scenes footage) negative which was pristine, and we transferred it to HD. We cropped the original 4:3 aspect to 16:9 on a scene by scene basis. We also made use of over 80 hours of informal doc footage shot on Hi 8 videotape at 60i. We had to treat this footage to make it 24 fps progressive. These days, “making of” units on the set are shooting in MiniDV, or sometimes in Digibeta, but it is almost always standard def. We are working on creating bonus materials for a new feature that began photography in North Africa with a doc unit shooting in HDCAM, but after a few weeks, for budget reasons and uncertainties about BD and HD-DVD, the documentary unit actually switched down to standard definition cameras! Ironically, the older films with doc footage on 16mm will make the transition to HD better. En 2007 j’ai demandé à trois producteurs stars de DVD ce qu’ils pensent de la HD, est-elle tout bonus ? Bliss : Les nouveaux supports Blu-ray et HD DVD offrent-ils un meilleur support pour les bonus ? Charles de Lauzirika : La qualité du son et de l’image du film doivent être prioritaires. HD DVD et Blu-ray offrent de nombreuses manières d’augmenter votre appréciation et votre connaissance d’un film mais à part filmer en HD je vois beaucoup de gimmicks et peu de réinvention. Charles de Lauzirika : Déjà sur Kingdom of Heaven, Man on Fire, Monster House et Déjà Vu. Et actuellement sur Blade Runner qui sortira, comme l’a dit Warner, en HD DVD et Blu-ray. Charles de Lauzirika : Pas encore. Entre le In-Movie Experience de Warner ou le U-Choose d’Universal il y a des choses à faire, à condition de donner aux spectateurs quelque chose qui mérite d’être vu. J’ai expérimenté des choses sur DVD SD adoptées sur les nouveaux formats, je n’imagine pas m’arrêter maintenant. Charles de Lauzirika : Il sera facile de faire des upgrades directs vers la HD pour certains, tandis que d’autres auront un sérieux besoin d’être recalibrés. Cela donnera l’occasion de faire des petits ajustements. Bliss : Comment allez vous effectuer la transition entre SD et HD pour les documents d’archives déjà mastérisés ou à venir ? Est-ce utile de filmer documentaires et interviews en HD ? Charles de Lauzirika : J’ai commencé à travailler en HD l’année dernière. Pour des raisons de budget, presque aucun des suppléments de mes anciens projets ont été préparé pour la HD. Tout ce que je conçois et archive est désormais en HD. Tout cela a un coût que les studios ne veulent pas payer tant qu’ils ne sont pas sûrs de leur stratégie vis-à-vis des deux formats HD. Nous sommes dans une période transitoire. Charles de Lauzirika : Ils sont beaucoup trop occupés sur leur film pour être très concerné par les bonus HD. Ils sont plus intéressé de savoir si ces formats vont améliorer la présentation de leurs films. Charles de Lauzirika : Je ne crois pas que ces contenus interactifs synchronisés avec le film vont améliorer significativement ce que nous faisons en SD. Les capacités du DVD SD n’ont pas été assez vantées et maintenant que l’on veut attirer de nouveaux consommateurs, le marché insiste sur ces fonctionnalités sur HD DVD et Blu-ray. Charles de Lauzirika : Je crée le contenu, le livre au studio et m’assure que cela fonctionne comme prévu. Après, c’est la responsabilité des unités d’authoring et de duplication de s’assurer que les disques fonctionnent correctement chez les gens. Charles de Lauzirika : Pas pour le moment. Aucun des deux formats ne rend mon travail plus facile ni plus satisfaisant. Charles de Lauzirika : First and foremost, picture and sound quality for the film itself has to take top priority. Then, if there’s room available and there’s an interesting behind-the-scenes story to be told, I think the first you thing you have to do is consider what are the best ways to tell that story, regardless of format. Right now, there are many possibilities with HD and Blu-Ray in terms of finding new ways to supplement your enjoyment and knowledge of a film but aside from shooting interviews and behind-the-scenes footage in hi-def for protection, I’m not seeing a lot of new ways to better tell the story. I see a lot of gimmicks but not a lot of reinvention. Hopefully, as HD and Blu-Ray evolve, that will change for the better. Charles de Lauzirika : The first DVDs I worked on with an eye towards an eventual HD or Blu-Ray release were Kingdom of Heaven, Man On Fire, Monster House and Deja Vu. I’m currently working on Blade Runner, which Warners has announced will also be released on HD and Blu-Ray. Charles de Lauzirika : Not yet. It’s still about imparting information and meaningful content. There are different ways of doing that with HD and Blu-Ray, such as Warner’s In-Movie Experience or Universal’s U-Choose features, but ultimately, it’s still about giving viewers something worth watching. I’ve been experimenting with interactive features since the beginning and doing things on standard-def DVD that are now being adopted or enhanced by the next generation formats, so I don’t imagine I’ll stop now. Charles de Lauzirika : It depends on the project, the studio, the budget, the schedule, the availability of assets in HD and so many other things. There are some projects that I think will be very easy to simply make a direct up-res to HD while others will require more serious retooling. At the very least, it could provide me with an opportunity to make little tweaks and fixes I didn’t have time to make the first time. Charles de Lauzirika : Due to budgetary considerations, almost none of the past projects I’ve worked on have been readied for HD, at least in terms of the supplements. It’s really only within the last year that we’ve started doing that, and not on every title. It would make things a lot easier to deliver everything as HD-ready but that costs more money and the studios don’t usually want to pay that unless they’re sure about their future strategy on HD or Blu-Ray. Charles de Lauzirika : From now, almost everything I do will be protected for HD, so long as the budget allows for that. Seriously, there is a significant difference in cost between a simple standard-def delivery and then including HD and Blu-Ray into the equation. But in terms of scanning and shooting, the overwhelming majority of the content I’m working with will be archived with HD in mind. Charles de Lauzirika : Again, it depends on the budget, but yes, most of the interviews and behind-the-scenes footage are now being shot in HD. We’re still in a little bit of a transitional period with the studios, as they decide how much money to spend on a given title and what kind of treatment that title deserves. But for the most part, HD is part of the process now, especially on new movies. Charles de Lauzirika : So far, they’re too busy working on their own films to be overly-concerned with HD or Blu-Ray extras. They’re more interested in – -and rightly so — how HD and Blu-Ray can improve the presentation of their films. Everything else is icing on the cake. Charles de Lauzirika : I discussed this above, but I don’t think the kind of synchronous HD and Blu-Ray content you’re talking about are allowing significantly more creative freedom or improved information delivery than what we already had in standard definition. The difference is, most people weren’t pushing the capabilities of SD DVD and now they need something new to attract consumers, so they’re pushing that kind of experience harder with HD and Blu-Ray. Bliss : There seem to have some compatibility issues with those interactive programs, whether on Blu-ray players or the LG Blu-ray HD DVD combo that doesn’t play HD DVD interactive programs. How do you deal with that? Charles de Lauzirika : Fortunately or unfortunately, that’s out my hands. I create the content, deliver it to the studio and make sure it works as designed. After that, it’s up to the various authoring and duplication facilities to make sure the discs they’re manufacturing actually work in people’s homes. Charles de Lauzirika : Not at the moment. Both formats have their pros and cons. Originally I was rooting for Blu-Ray because of the higher disc capacity but as the format war drags on, it’s become more about survival of the fittest. I’ll wait for a clear winner before investing in one format or the other. Neither one makes my job any easier, or more fulfilling. Yet.